The highly trained and dedicated team at Bryan Tool is what sets us apart from other companies. They are the core of our business and our most valuable asset. Many of the employees who work for us now were once students at Massanutten Technical Center learning under the unparalleled guidance of Founder John Bryan. Our team is the heartbeat of our business and our talented management staff provides them with the support they need to get the job done. 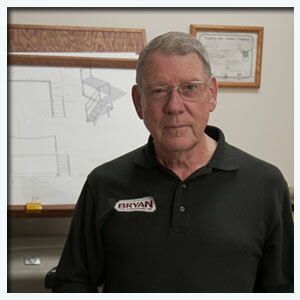 John Bryan is the Founder and President of Bryan Tool. After having worked for 28 years teaching machining at Harrisonburg Technical Center and Massanutten Technical Center, John opened Bryan Tool in 1992 in a little one room shop. Fueled by passion and dedication, John outgrew their shop by 1994 and moved to larger location on Carrie Street in Broadway, VA. In 2007 the company finally custom built a 16,000 square foot state-of-the-art facility. John's son Tim oversees the company's daily operations. Mr. Bryan has a daughter, Suzette, and four grandchildren, Mandy, Rachel, Allison and Landon. 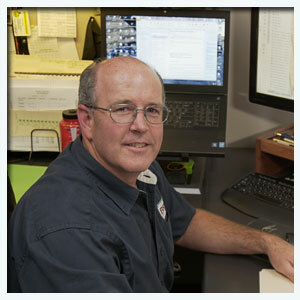 Tim Bryan, Vice President of Bryan Tool, has been involved in the business since its origination in 1992. Machining has been in the Bryan family’s history for generations and it was a natural step for Tim when he took over the reins from his father in 2002. Tim and his wife Debbie live on a farm iin the area with their two daughters, Rachel, Allison and son Landon. When not in the shop, Tim helps out on his own farm working with the horses and miniature Herford cattle. Certified tool and die journeyman and certified CAD/CAM technician. 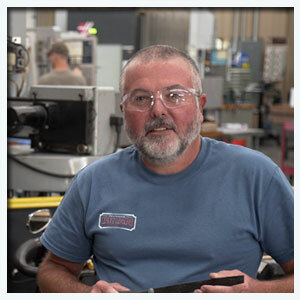 David Huffman is the Senior Engineering manager and has been working at Bryan Tool since 1993. Born and raised in Broadway, VA, David and his wife Kim have two children, Sydney and Bryce. In his spare time, David enjoys spending time with his family in the great outdoors. David is a certified machinist and a certified CAD/CAM technician. 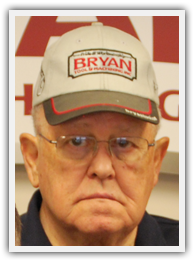 Jim Britton is the General Sales Manager for Bryan Tool. Jim joined the team in January 2009 after spending most of his career with Sullair Corporation in Tidewater VA. Raised in Newport News, VA, Jim and his wife Linda reside in Waynesboro, VA, and have two daughters, one living in Gloucester and one in Maui. Kay Morrison joined the team in July 2010 as Controller for Bryan Tool. 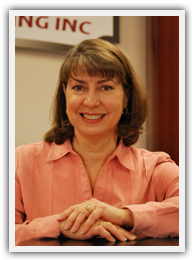 She spent the majority of her career working for Hewlett-Packard Company in a variety of financial management and accounting positions in Atlanta, GA. and Richmond, VA. Kay has a B.S. and Masters in Business Administration. A native of Augusta County Kay returned to the Shenandoah Valley to be closer to family. She and her husband, Scott, enjoy traveling, camping and hiking. 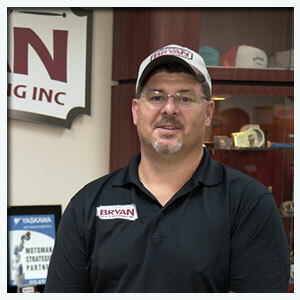 Joey Dean joined Bryan Tool in April 2010 as the Operations Manager. He has twenty-five years of experience in the plastic container industry, where he worked as a machinist and maintenance manager. Joey is a certified Tool and Die Journeyman. A native of Rockingham County, Joey and his wife Cheryl have two children, Laura and Jacob. When he is not working, Joey enjoys hunting, fishing and working on his farm.